Instructions for Guests Check-in is at the Lundquist Community Life Center (lobby of Benson Great Hall), where our staff will be waiting to greet you. There's never been a better time to study business or economics at Bethel. 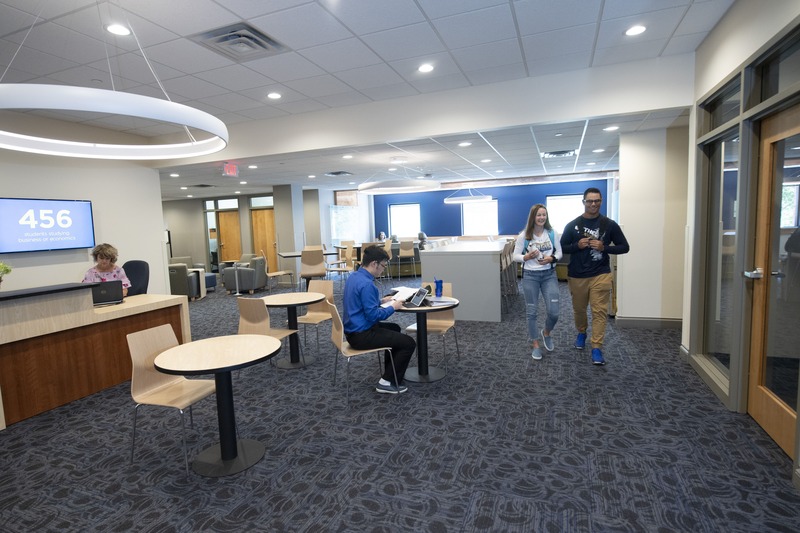 With a variety of academic disciplines, 15 full-time faculty, and a brand new, 7,000-square-foot space for the department, it's no wonder Business and Economics is the major of choice for over 500 Bethel students. Business and Economics students are gaining valuable skills in investment and financial management through the new student-managed investment fund (SMIF). Nearly $1.3 million dollars have been invested --on behalf of real investors, including Thrivent Financial--with students managing every aspect of the fund, from marketing and equity research to reporting and client relations. With campus just minutes from downtown Minneapolis and St. Paul, Bethel students can take advantage of a robust network of successful alumni who help connect them with amazing internship opportunities. We help students get a foot in the door at their dream job, providing them with hands-on skills so they're ready to hit the ground running on day one. We invite you to join us for the Options in Business and Economics Event to find your place at Bethel. You'll hear from top-notch faculty members who are dedicated to guiding and challenging students in both their academics and their faith. Current students will share about their experiences in and outside of the classroom, and alumni will discuss the value of a Bethel education as it pertains to the marketplace. Arrive early to enjoy a campus tour and dinner with admissions staff in our award-winning Monson Dining Center.